Help students make connections between proportional thinking and sequences. This is a great way to set your students up for success with harder modeling tasks and Algebra. Students often first encounter this content through direct instruction and repeated practice. If this strategy didn't work for them, it's time for something new. In this week’s post we present a sequences and modeling formative assessment task designed to promote classroom conversation and discourse. Use it to get your students learning from each other and wrestling with problems that have multiple right answers. This quick refresher on converting units helps prime students for the next two tasks. Unit conversions will help them model the number of ounces left and then the number of cups left per day. This task promotes productive conversations among your students. Ask your students students who answered A or B to elaborate on their good ideas of how to model the situation. It is important to assign competence to students who had some productive thinking. 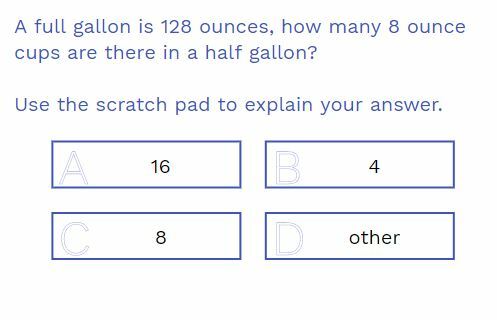 This will help them see they are on track, even if they didn’t recognize both of the correct answers. 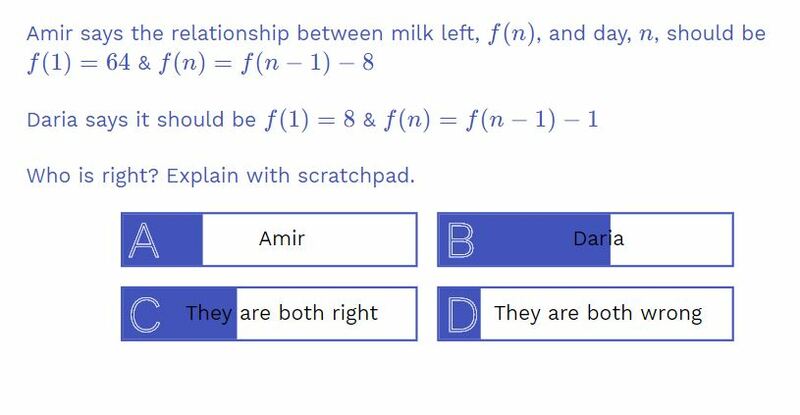 Hopefully, through a productive conversation, students will come to understand that both Amir and Daria are correct. They are just using different units to model the situation. We recommend you start this discussion with the “reveal answer” button deselected. The final task is for the students to convert the recursive formulas into explicit ones. Woot Math accepts equivalent answers and the correct answer can be either in the form f(n)=… or y= where n is the position in the sequence just like in the first two tasks. After students answer this question, review the answers to make comparisons. Ask them what they notice and what they wonder. How do the slopes of the two lines compare? If they represent the same situation, why does one have a slope of 8 and the other has a slope of 1? 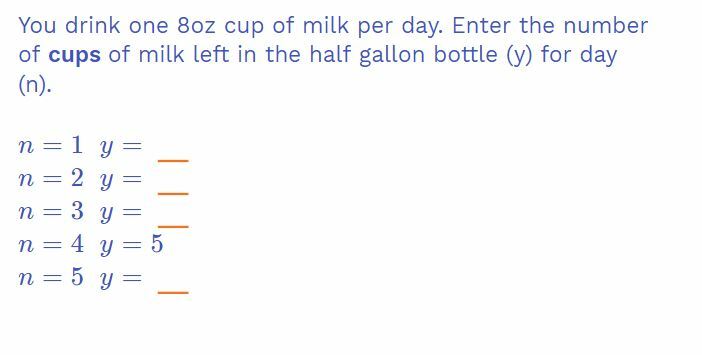 With your support, students can draw connections between the two models and the conversion factor between cups and ounces. Get started by previewing the activity right now, or login to wootmath.com and search for Weekly Woot: Patterns and Sequences Rich Task in the Explore Content Gallery.